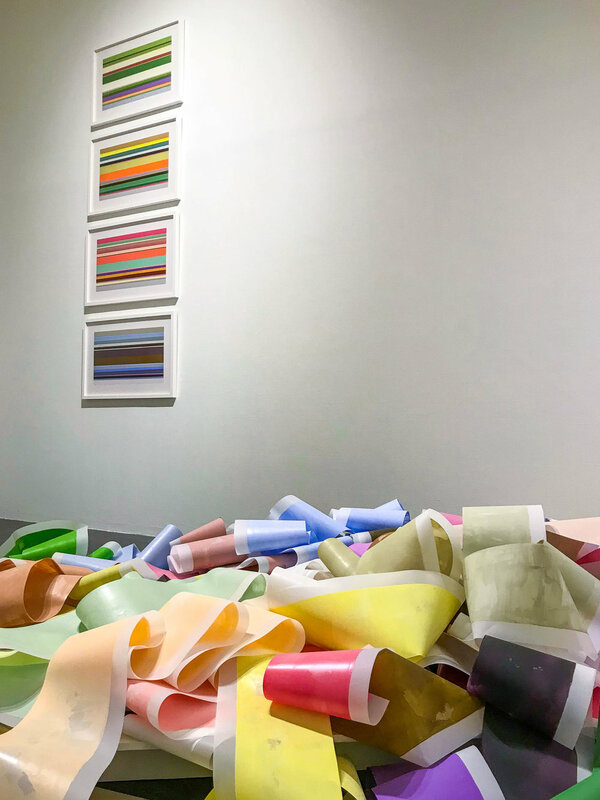 You might be surprised to learn that this installation— comprising a profusion of colorfully painted and curled strips that pile, unfurl, and tumble across the floor—is a landscape. Yes, a landscape. 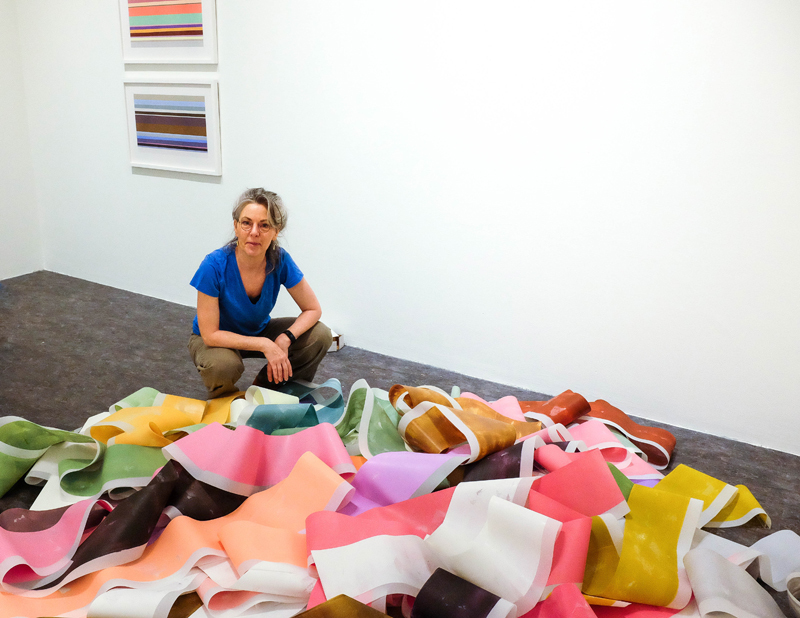 Debra Ramsay generates a strict set of rules to guide her creative process for each new body of work. 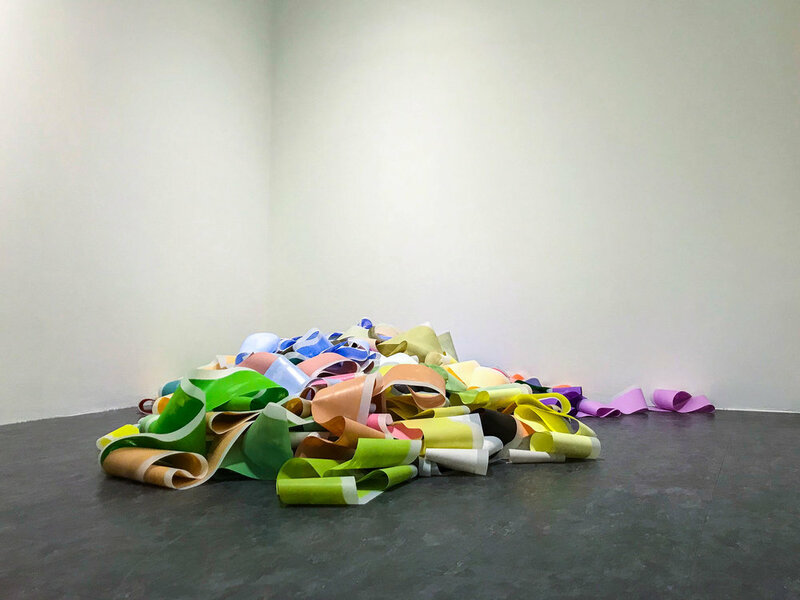 For this installation, she distilled her daily walks in the woods to pure color. What you are seeing is her color record across four seasons. Painting Time is at once reductionist and exuberant. While Ramsay reduces the complexity of color change in nature to momentary snap- shots over a year of seasons, the swirling heaps of color evoke nature’s abundance. That the conceptual rigor of her work doesn’t overpower the aesthetic pleasure of the experience is a testament to Ramsay’s artistic power. 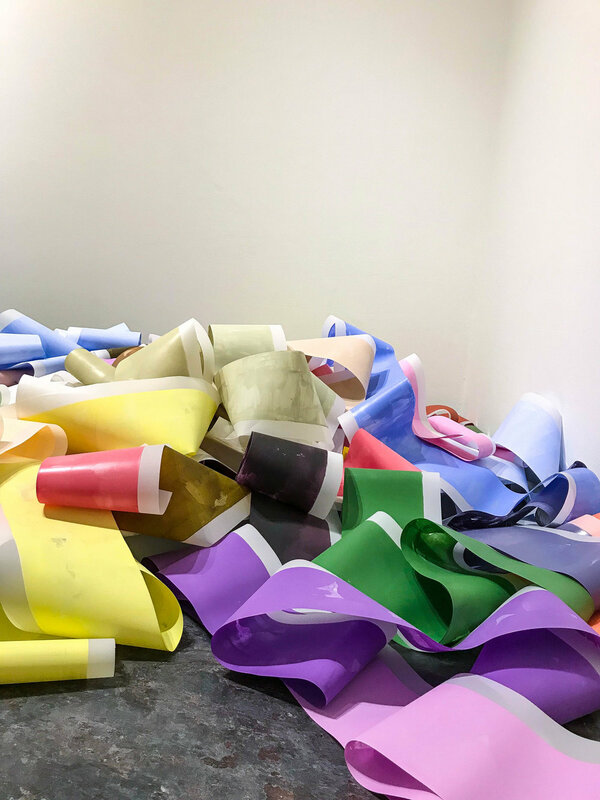 Painting Time exists in the aesthetic realm—a place where inter-pretation is nuanced and fluid, and where understanding can deepen each time an artwork is experienced, revisited, or discussed.